A little while ago the lovely people at Cheerz got in contact with me and asked if I’d like to try some of their products. 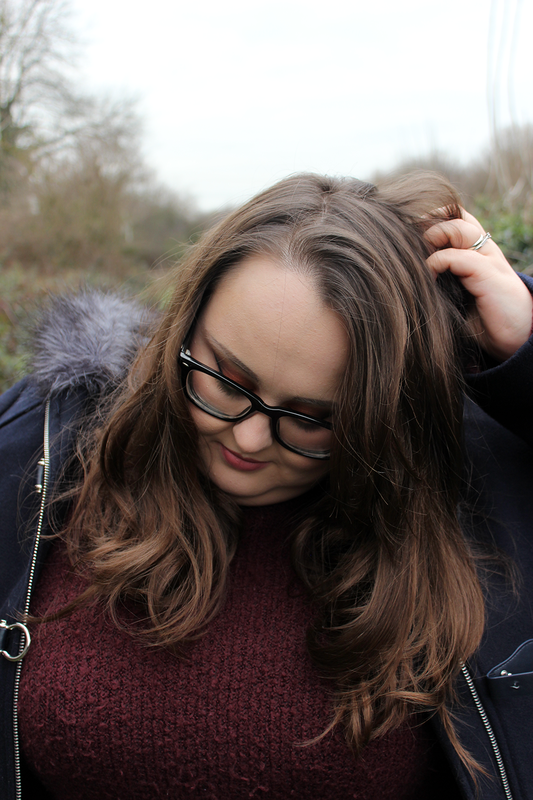 After a quick Twitter stalk and a wonder through their website I answered with a ‘sure, why not’ and pretty soon some of their Christmas range of items were making their way to me through the post. If you haven’t heard of Cheerz before I’ll give you a quick low-down, the company is formally called Polabox and is focused around providing printed memories of those photos you tend to snap on your phone and upload to social media profiles like Instagram and Facebook but never seem to print. 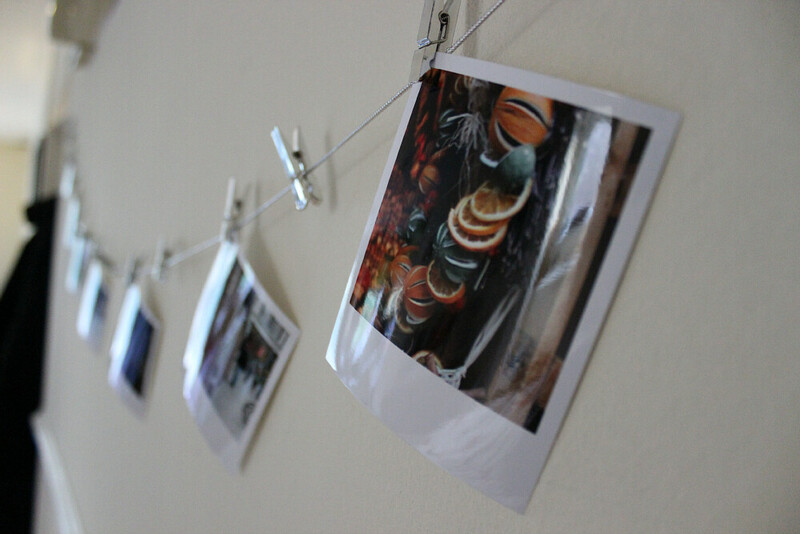 Now I’ve had photos printed at well-known high street retailers before and I’ve only ever been vaguely satisfied with the results. My prints never seem to come out ‘glossy’ enough and don’t look like real photos. With Cheerz however they take your photos that you upload (direct from you social media profiles mind) and print them in a polaroid-style format and then deliver them in a lovely box like this Christmas Cheerz Box that I chose. Not only does the box look stunning, stylish and incredibly compact – but the photos inside look gorgeous even if they’re just off of Facebook. I chose a few pictures I’d taken of the Cardiff Christmas Market in this post and had them printed as well as some personal snaps for my own albums. 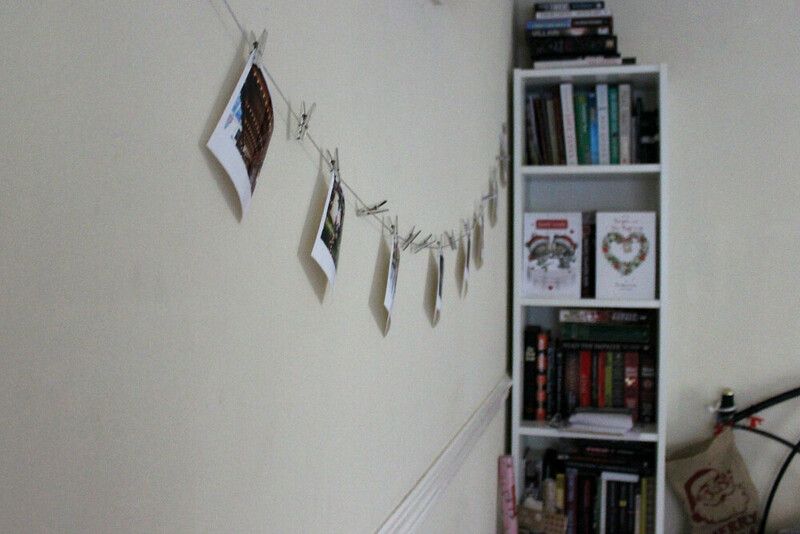 Better yet, taking inspiration from the La Boite a Photos product I strung up my Christmas prints and they now hang happily on one of our walls as part of our festive decorations. 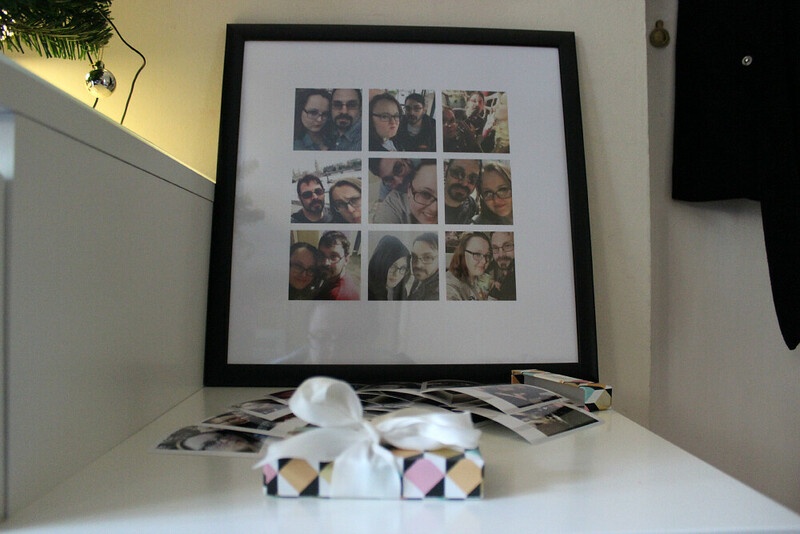 I also chose a framed Big Square of some personal pictures of my partner and I to hang on a bare wall that needed filling. I was actually going to give him something like this for Christmas already and had a frame purchased and ready to pop down to aforementioned retailer and have some photos printed but my order from Cheerz looks so much more professional than what I could’ve created at home. I am seriously impressed with how smart this frame looks and I really like how it made something special out of an idea I’d had for a Christmas gift. 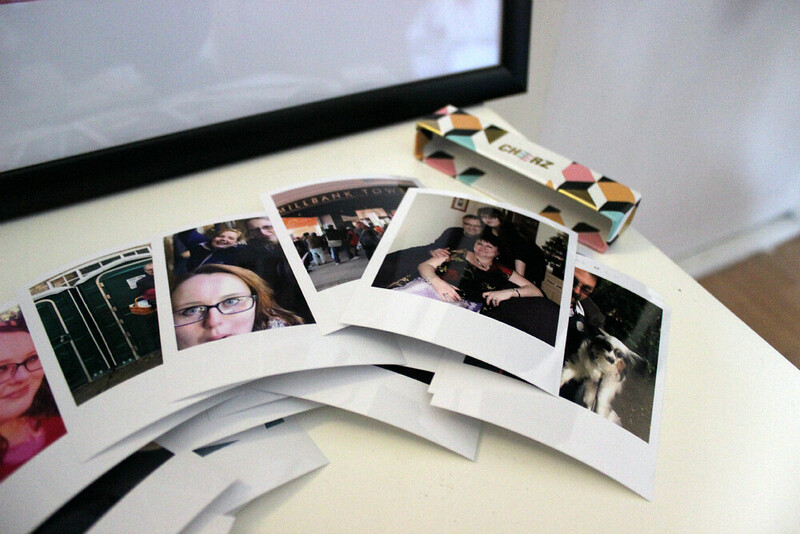 We upload selfies of ourselves to Instagram all of the time so it was a real treat to have those memories printed and framed to keep forever. 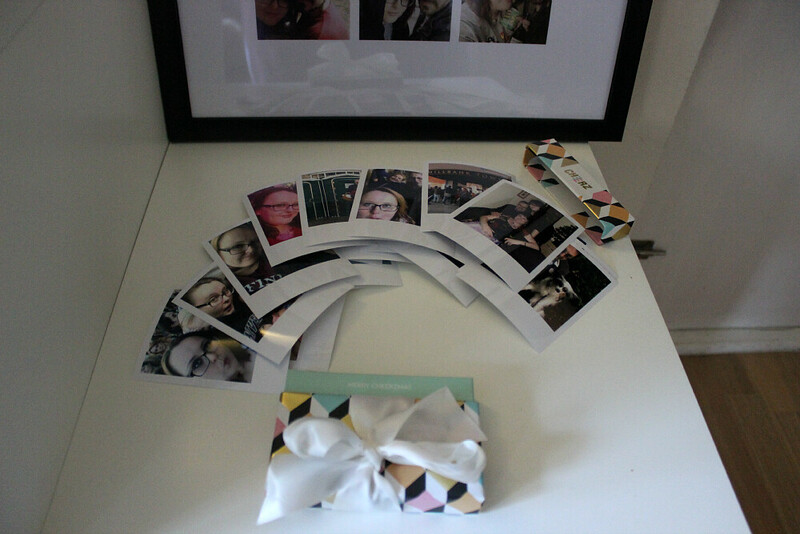 If you’re ever looking for a place to print off some photos that you’ve had banging around on your computer for ages or want to send someone a heart-warming gift or two I recommended you pop over to Cheerz and make an order. They make your photos look and feel special and certainly provide you with something that you’ll want to treasure. There’s even an app to use to upload your snaps and even though I chose to simply print my pictures I could’ve edited them any I wished making the experience of buying through Cheerz even more unique. 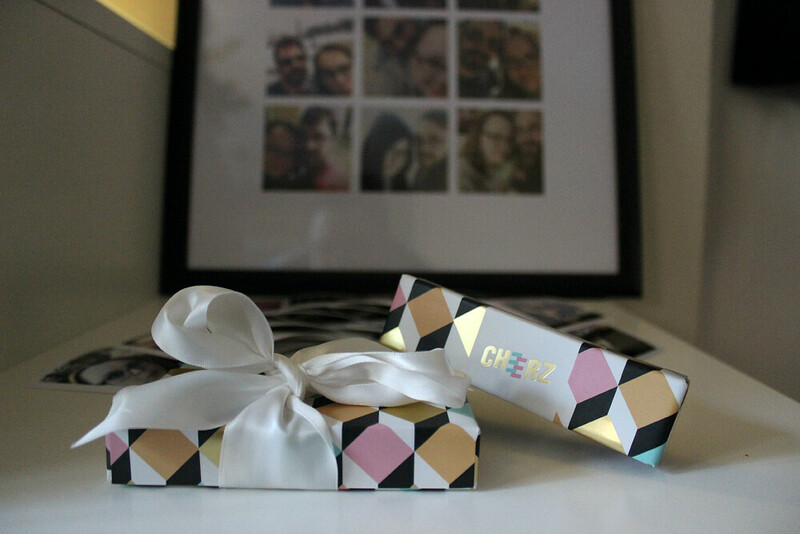 Without being overly cheesy (oh go on then), ‘cheers’ to the Cheerz team for letting me try these lovely products.